The beauty of Azad Jammu and Kashmir (AJK) is indescribable. God has given this place some majestic effects for the coolness of our eyes and heart. 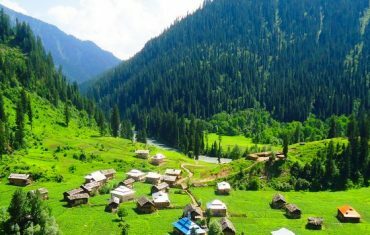 In summers, the place is lush and vibrantly green with velvet green plateaus; and in winters, it is snowy, as far as the eyes could reach, it is snow everywhere, the mountains and the plateaus seem covered with snow, alongside the river flows picturesquely which is amazingly refreshing both in summers and in winters. It wins the admiration of nature lovers. Azad Kashmir was the destination we decided this time for our vacations. Landing at Islamabad airport from Karachi wasn’t tiring at all, as we had planned to leave straight for Muzaffarabad, the capital of Azad Jammu and Kashmir (AJK), to start off our exposure from day one. We had pre-hired a sedan from Karachi to pick us up from Islamabad airport, just to avoid the hassle of hunting for a cab at the airport and then relentlessly arguing with the cab drivers to take us to the desired destination in reasonable rates and so on and so forth. Also, our decision to reserve the car before was a great thing which saved us a lot of our time too. 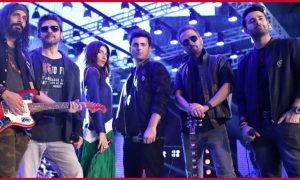 Our exciting journey began as soon as we crossed the threshold onto Murree highway, although we had been to Murree many times before, but this journey was exciting as we were moving ahead towards AJK for the very first time. We took few small stopovers to enjoy the extremely cold breezes and the beautiful weather of the up-country areas. It was just two days ago that these areas had been blessed with snowfall just before we arrived, bottom line, we missed it; but looking at snow everywhere is another beauty to admire, and I called it a blessing because it is, especially for us Karachiites, who suffer the sole season throughout a year, which is summer of course. So for us, nothing was more charming than freshly fallen snow. Our interesting highway journey thus came to an end as the territory of AJK began, and now we proceeded towards the mountainous roads, our adventure had officially just begun. To travel by road is an amazing experience, especially when the landscape is gorgeous all along. Approximately after three and a half hours from Islamabad, we reached our guest house, The State Continental, at Muzaffarabad, our first destination, which seemed more of a developed city with literate people all around. We left our sedan there and hired a 4wd to roam around inside AJK, which is a very comfortable drive on the mountainous roads. And it was a good idea to opt for this car, as the area demands such vehicles. After spending a night there we left the next morning for an awe-inspiring location, Pir Chanasi, the mountain peak that has gained a lot of fame for its ziarat of a famous Pir, the tourist spot is situated at approximately the height of 9,593 feet above the sea level and nearly at an hours distance from the city. 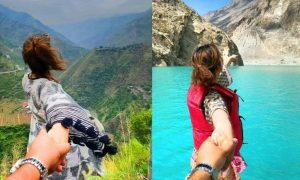 The adventurous journey with the snowy mountains on one side and the chasm with the river flowing on the other side gave us a tremendous feeling that we cannot even feel with our busy city lives. The major attraction of this place, I felt, was its height and the incredible view from the top. The territory’s official language is Urdu, although Pahari, Hindko, Gojri, Punjabi, and Pushto are also spoken in different parts of it. Communication is not at all a problem there even if you are not a native, people are sensible and keep a great understanding. You will enjoy shopping there too, shopkeepers are really cool-minded and friendly. They will provide you with the best they have. Seasonal fruits and dry fruits are really sweet and delicious there. They’re a must try. Our next destination was Keran countryside and it was an absolute still life beauty. 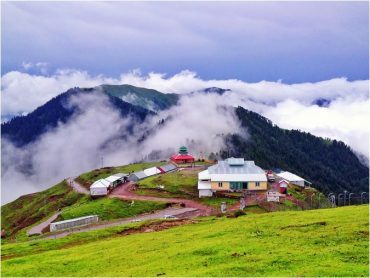 It is an idealistic tourist resort of AJK, which is approximately at a three-hour drive from the city. 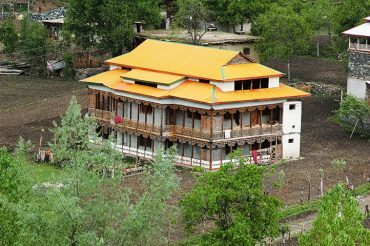 The government guest house of Keran, where we stayed, is positioned in a way that you can clearly see the Indian – held Kashmir just across the Neelum River, and that occupied area is also called Indian Keran. The life at both the sides are alike, even the houses are symmetrical too. But the saddest part is that many of the relatives are parted due to this distribution. They can’t even meet each other because there is a Line of Control (LOC) that separates Indian and Pakistani Kashmir. 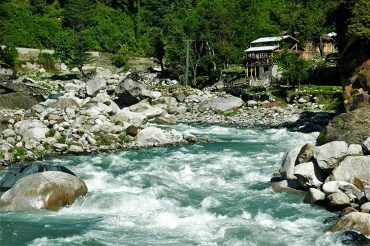 For hours, we kept silently sitting on the rocks by the banks of the gushing river outside our guest house and honestly, it gave us a feeling of paradise on earth, what else could we ask for other than this peace? And yes, let me tell you that the tranquility of Keran is also because of the disconnection from the social networks due to the absence of mobile signals and all internet services. A very strange feeling though, but it’s an amazing experience when you remain separated from our noisy world for some time. Considering the health, people of AJK prefer to consume a very fresh and nutritious diet; most of them prefer green vegetables and different kind of beans in their meals. Kashmiri tea, Kulcha, Bakar Khani are their favorite snacks. Arisa and Gushtaba are also different meals which they enjoy separately. Tourists do enjoy their meals and not only this, they also make delicious non-kashmiri food on our quick demand, which is fabulous. Azad Kashmir is much more than I could describe in just one piece of writing. It is a place where one should go and explore as much he can. After staying for two days at Keran, we went to Kuttan where we had already reserved our rooms because we had planned to stay overnight there. 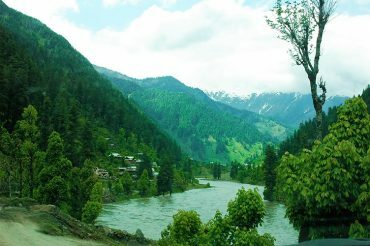 A village in Neelum Valley with the ripple of the river near the guest house gives a breathtaking emotion. One could spend an entire day sitting on the rocks beside the noisy river, doing nothing but just watching and admiring the serenity of this place. We had more plans for other spots up high Kuttan, but I was unable to visit the most heavenly said place which is Arang Kel as my daughter suffered from high fever due to being restless. But my brothers did, and after interviewing them, they told me that Sharda is a small village in Neelam District, an amazing historical place for tourists to visit, people do take night stays there to spend more time roaming around. A very famous old Sharda University is located there, historically known as Sharda Peth. 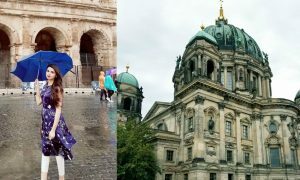 Tourists usually enjoy visiting these sites. From Sharda you can en route towards Kel by car and from Kel you need to trek approximately two kilometers to Arang Kel, which is a must place to visit when you plan a vacation to AJK, a beautiful and adventurous hill station, tourists feel their trip to be incomplete without trekking at this spot which is located on the hilltop near Kel at the altitude of 8,379 feet. In winters, this place is usually closed due to the snow and extreme cold weathers but some tourists do take a chance to go there for skiing and other exciting adventures. Summers are said to be the best and are a peak season to have fun there. The lush green plateaus are worth seeing, words cannot even describe what the eyes see and the heart feels. If this place is not already on your bucket list, dear reader, perhaps you might reconsider. Trust me; no one regrets a well-planned vacation. Our country is full of beauty, go on, explore it!